Let me assist in aligning your personal style with your ambitions by unleashing your alter ego! I can take the hassle out of wondering what to wear, help you reinvent a new look with pieces you already have, and move past your thoughts of annihilating your wardrobe. 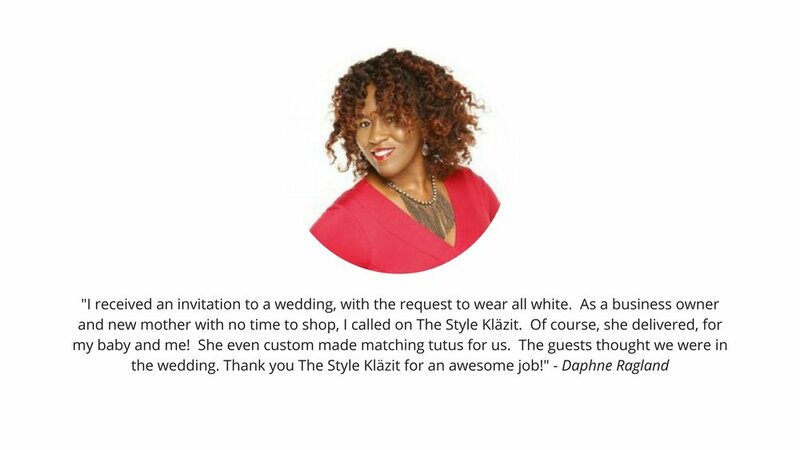 So stop neglecting your style and get noticed today! Want to update your current wardrobe to match your new style aesthetic. Is wondering around the mall or searching the internet for hours looking for the right look not your thing? Need the perfect look for an upcoming event or celebration? This service is for you. Want to cut down on shopping? Need help sorting through your existing wardrobe? Looking to save time and money by shopping your own closet? See how to find outfit combinations you've never thought of before by learning how to shop your closet. No matter where you live this service brings my skills straight to your inbox. Via Skype, phone or email, get a personalized style experience and be sent head to toe looks and wardrobe items that fit your style needs! . Without even leaving the comforts of your home you can have the personal style you deserve.